Unique kitchen cabinets and kitchen cupboard doors made to look like houses. In this �terrace� of 8 cupboards, each door is an individual house front, each a different colour. This unit runs the whole width of a kitchen (5m50) providing much-needed extra storage. 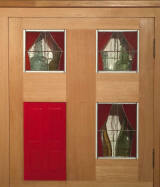 Each door measures H.70xW.60cm, and the frames and doors are made of beech. 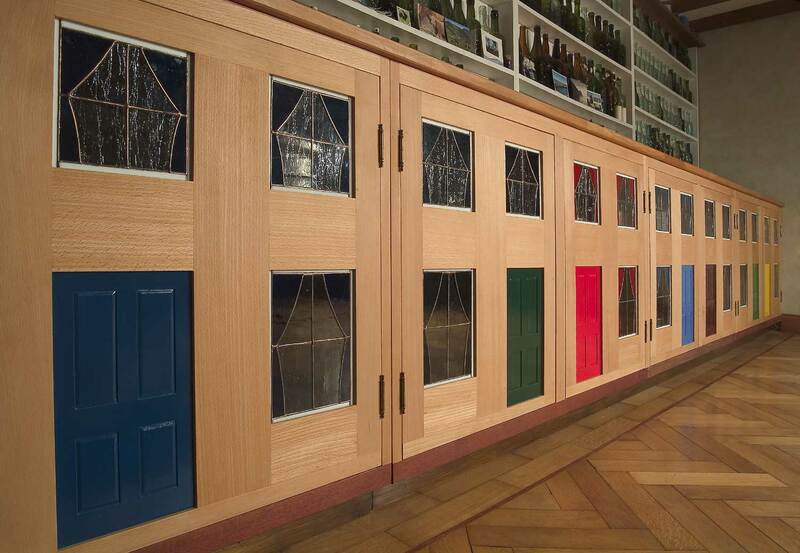 Each of the small �front doors� are framed and paneled exactly like a full-sized door, and the antique and colored glass of the stained glass windows complement the variety of colored glass in the bottle collection above. These doors open and close using spring-loaded magnetic catches to avoid the need for handles, although I�m sure that discreet knobs wouldn�t be a problem visually. 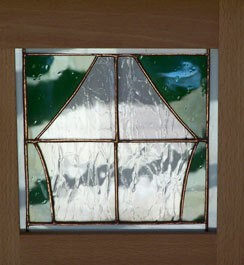 The stained glass window and door panels are made individually so any shape, style or colour can be made, and I think that the combination of relatively plain door frames with the fine detailing of the door and window panels is particularly successful. If this was a wall-mounted unit it would be possible to add a roof and chimneys to complete the effect (see Honfleur cupboard). 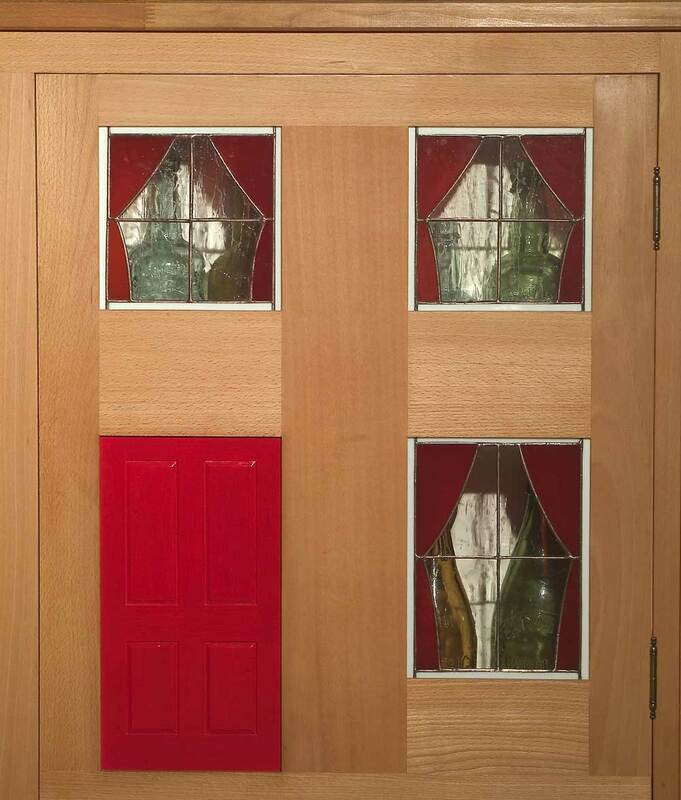 As a rough guide, each of these doors would cost around �350, and this complete unit about �4000 plus fitting if needed.